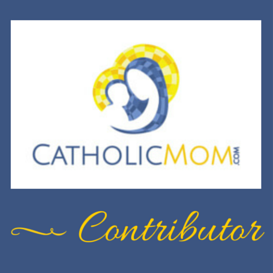 ← New post up at CatholicMom! Very fun post and such great names (of their kids and your suggestions)! With the African connection, Zella immediately popped into my mind. According to Nameberry, it has African origins with the meaning of “lacking nothing, one who knows the way”. With their journey of having lived in Africa and connection to St. Joseph when they needed provision, I thought this name/meaning was spot on! I’ve thought it would be a cute nickname for Elizabeth (though a bit of a stretch). Why not Josie? Josephine Bakhita is a wonderful saint (from Northern Africa too!) and would make an additional patron. From their ideas, I like Heidi: it has the mom’s initial, just like Jasper has the dad’s initial. Also, Chiri & Heidi sounds lovely. But I also like the idea of another C name: this way there is a connection between the girls’ names, even though one of them feels much more familiar than the other. So, I suggest Cassia, Cora, Corinne and Clarice. And some random ideas: Phoebe, Lila, Maeve, Annalise, Zelie, Primrose, Verity. I like the idea of matching Mom’s initial! Oh and Chiri & Gwen! Marie-Josée is the French for Mary Joseph. I remember a Canadian ice skater with the name. It’s pronounced with a J or zh sound — Zho-SAY — but could be turned into Josie. It strikes me as a nice potential first or middle name that still can have Josie as a nickname. I love that idea, gorgeous! I see some references say that Polly is also a nn for Dorothy – from Dolly – in addition to the Mary/Molly connection. Do you think that is accurate? If so could be a possibility since Dorothy is listed as a family name. I also think using Marjorie (or variation) to ge tto Josie (without a “J” name) is clever. 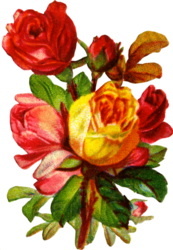 I love all the floral names – Violet, Rose, Lily and Poppy for them. And think those would be cute with Chiri – maybe especially Poppy. Interesting! I’ve never seen that! It makes sense to me, since I’ve read that Polly arose because it rhymed with Molly, so since it rhymes with Dolly I don’t see why not! I like the suggestions of Adelaide and Mercy. Best wishes!